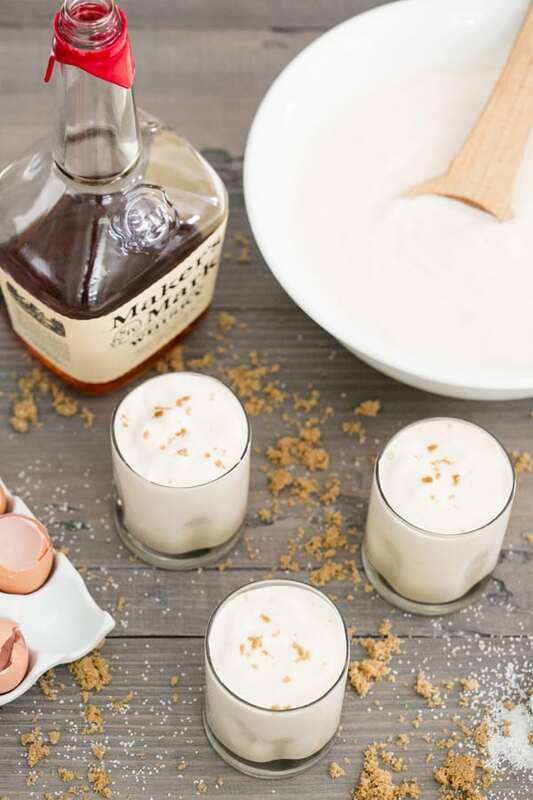 It’s a tradition for us to make a batch of creamy homemade eggnog around the holidays. I wanted to switch things up, so I made a Butterscotch Eggnog recipe from the Winter Cocktails book. It turned out better than I expected. Rich and creamy with a touch of butterscotch from the brown sugar. 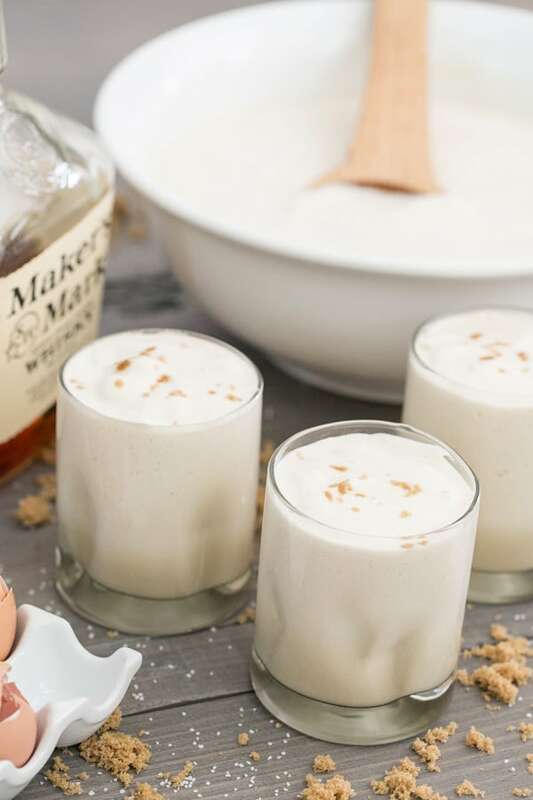 Adding the Maker’s Mark bourbon gives it a delectable touch of creme brulee and caramel flavor. If you want it virgin, you can always leave out the booze. There really is a huge difference between store bought and homemade eggnog. If you haven’t tried making it yourself, give it a shot! I don’t even like the flavor of eggnog in a carton, but I love it when it’s homemade. Last night we each had a cup for dessert and sipped it while we watched a Christmas movie. We’re soaking up the last week of the Christmas season! Add the heavy cream and whole milk. Reduce heat to medium and stir. 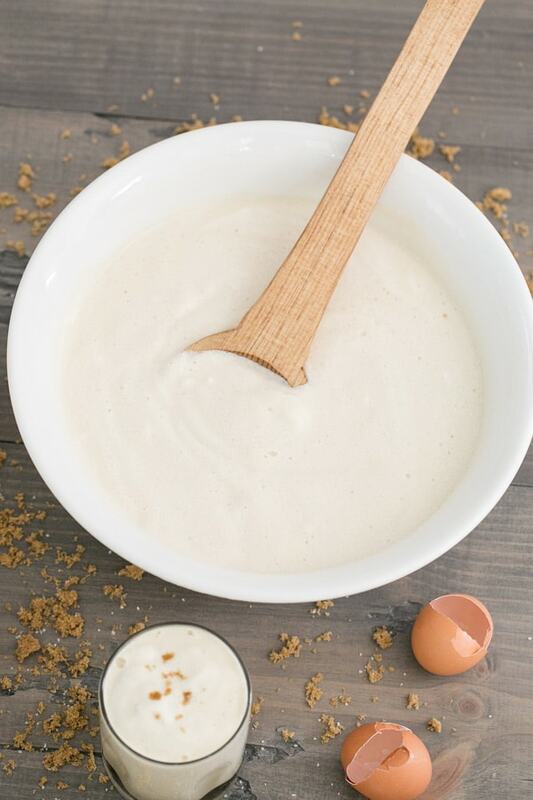 In a large mixing bowl, beat egg yolks, brown sugar and vanilla until thick. With the whisk on medium speed add in the milk and sugar mixture. Then pour in the bourbon. Pour into a punch bowl or large serving bowl and set aside. Beat egg whites and add in 1/2 cup sugar. Beat until stiff peaks form. Fold the egg whites into the eggnog to get a rich creamy texture. Add a pinch of sea salt to top off each glass and a little brown sugar. Serve chilled or warm and enjoy the best cup of butterscotch eggnog ever!